I don’t think KLOKERS needs an introduction. I’m sure you heard of them, you saw their watches, either on Kickstarter or on a watch blog/forum, maybe even on the wrist of a fellow watch collector. 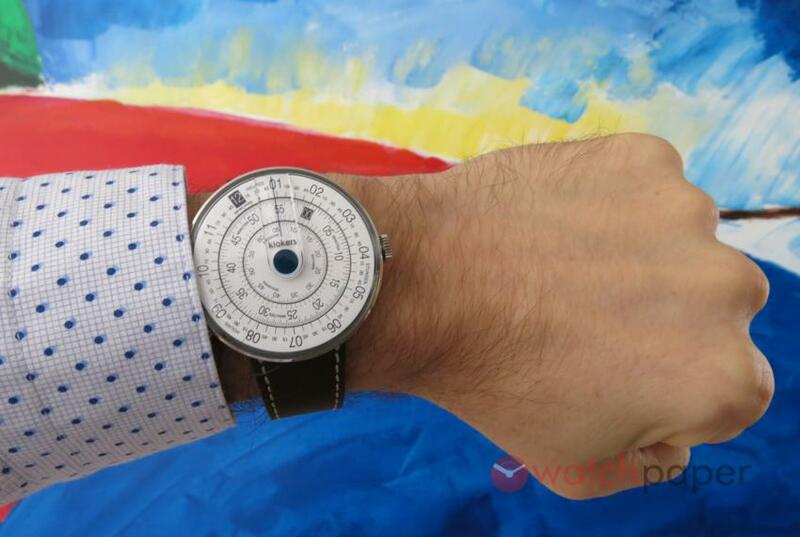 I know a watch snob who would never consider a microbrand, yet he signed up to pre-order a KLOKERS from Kickstarter. There are not many watch microbrands out there that manage to raise more than €600,000 from 1,500 backers with their debut collection. KLOKERS did it, and they proved with the KLOK-01 and KLOK-02 that a well-executed, original design will turn heads and open wallets even if it’s powered by a quartz movement. Collectors often obsess about the movement and forget the rest of the watch, which I find it to be a misguided attitude. Among the two KLOKERS models, especially the KLOK-01 is the perfect example of a timepiece where the movement stays in the background and lets the rest of the watch shine. 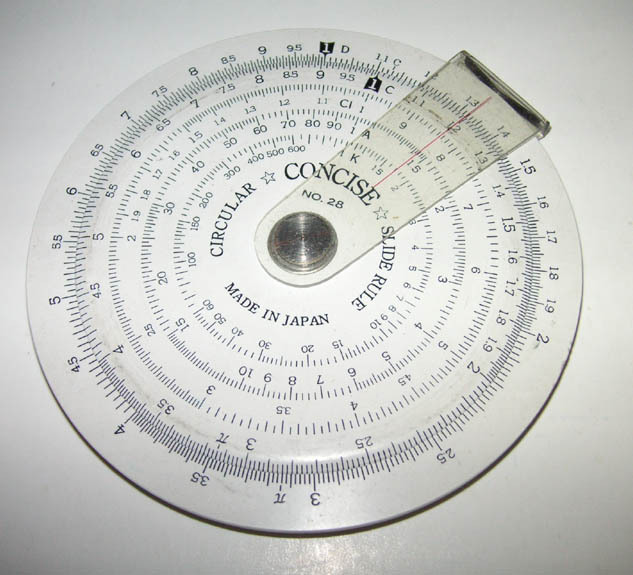 The source of the inspiration is a circular slide rule, an instrument that was widely used in the past to perform multiplications, divisions, conversions and other mathematical operations. The dial is divided into three concentric discs: hours on the outer ring, minutes at the middle and seconds at the centre. 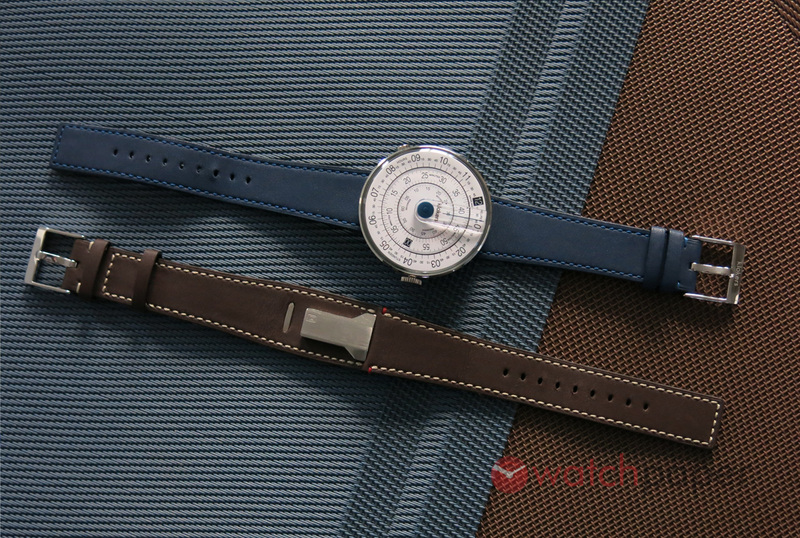 There are three colour themes offered for the dial: yellow, grey and the blue that I used for this review, and when it comes to the strap you have seven colour choices. There are two layers of acrylic crystals, the protective crystal on the outside while on the inside, at 12 o’clock, there is a magnifying crystal with a thin blue line pointing to the current time. 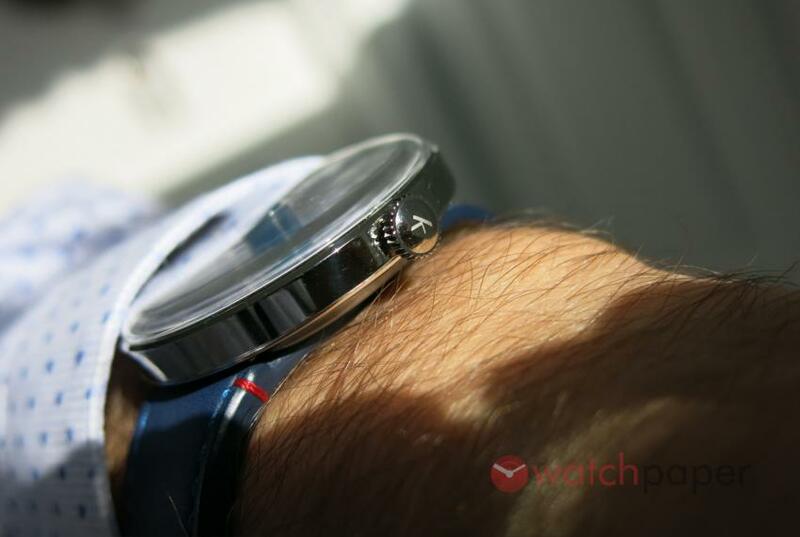 At 44 mm you would expect the watch to be quite large, but since there are no lugs, it is actually very wearable even if you have a small wrist. Removing the lugs was a very smart move, first of all, they couldn’t have gone any smaller with such a busy dial and they had to cut down from the size to keep it unisex; it also reinforces the circular slide rule look. 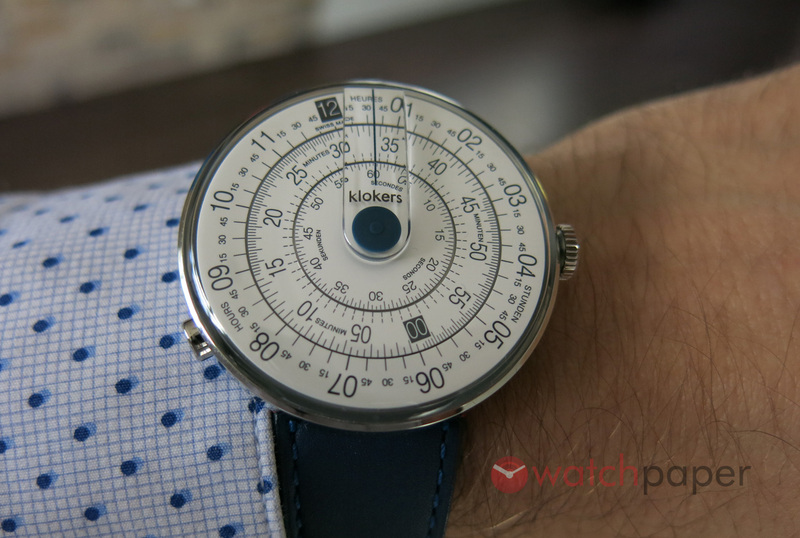 KLOKERS’ solution to attach the watch to its strap is yet another design masterstroke. The back of the KLOKERS KLOK-01 and two KLINK-01 straps. On the side of the case, at 8 o’clock there is a push-button that will release the watch from the strap by sliding it out. I can’t think of an easier way to swap straps on a watch. 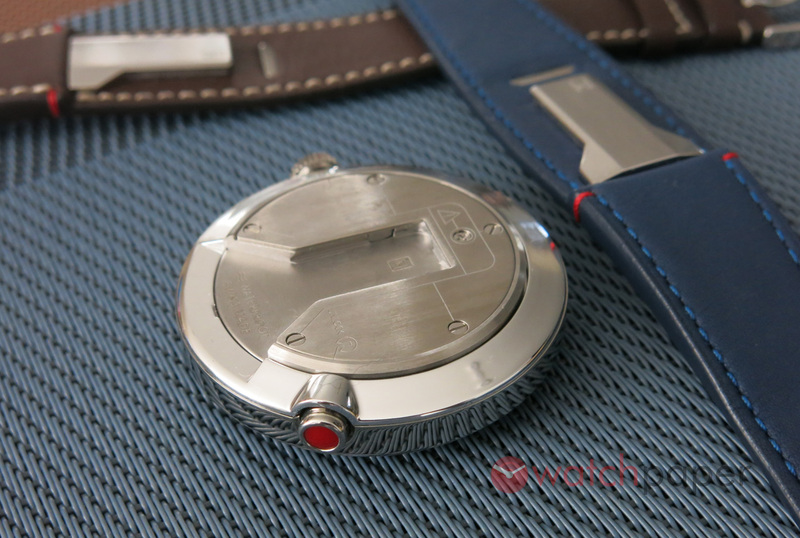 As I mentioned before, there are seven colour versions for the strap, so you can be quite creative when it comes to matching it to your KLOK-01, but there is always a downside with these unique design solutions. For those who want to go with an exotic hide, it will be impossible to find an aftermarket strap for your KLOKERS. If you know of someone who can do it, let us know in the comments section. An extra strap starts at €119, which is not cheap, but the quality is exceptional. KLOKERS is also offering double straps at €149, called the KLINK-02 that can be wrapped twice around the wrist, with the S size measuring 380 mm, while the M is 420 mm. At the office, people are used to seeing me every week with a different watch. It’s not a novelty anymore and since I’m the only watch nerd around, they don’t really care. 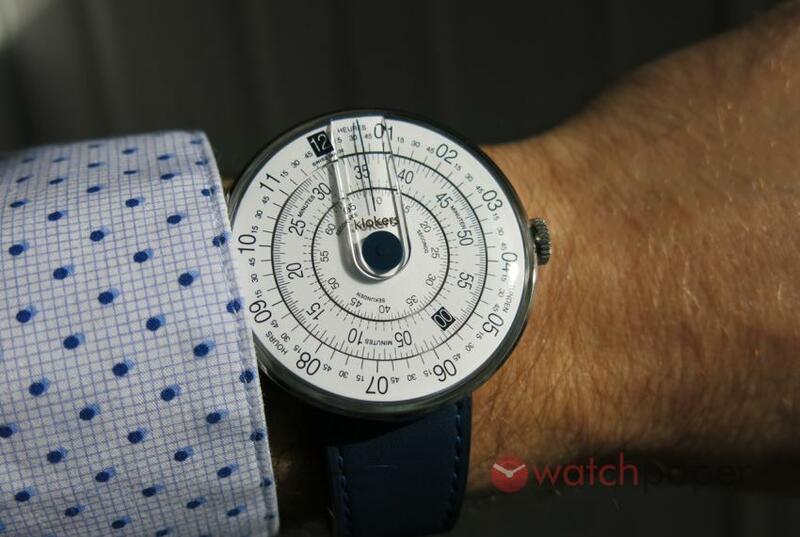 With KLOK-01 it was different. People noticed that I have something unusual on my wrist and they were curious to find out what it is. They all agreed that it is a beautiful watch, but it’s hard to tell the time. Indeed, having the look of a mathematical instrument might be intimidating to many. Maybe in some, it will wake up some traumatising memories from their school years, but the truth is, this is not a tool watch. 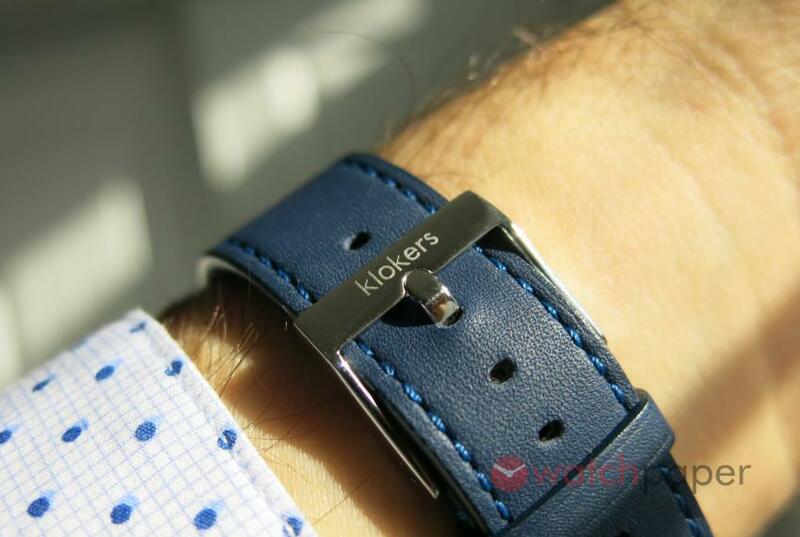 KLOKERS is very upfront about their identity, they are “a premium fashion watch & accessory brand”. The KLOK-01 is an innovative, premium fashion watch that wants to look cool and it does. To me, the KLOK-01 is not about telling the time at 300 meters deep, or while flying at Mach 2, it is about dressing up your wrist. It is about wearing a watch that will be a great conversation starter and that you might end up sharing with your significant other. In a way, it is a work of art, it’s purpose is to please the eye and to be intriguing at the same time. 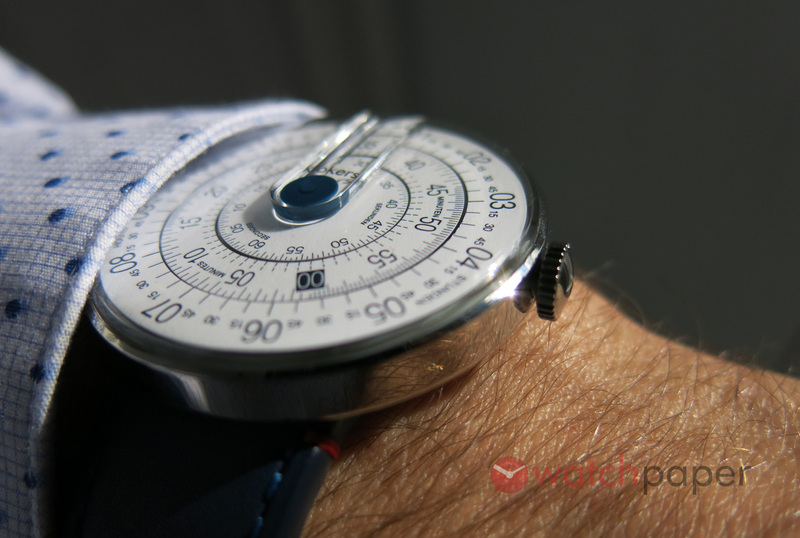 If you are comfortable leaving the beaten track, you should give the KLOKERS KLOK-01 a try. 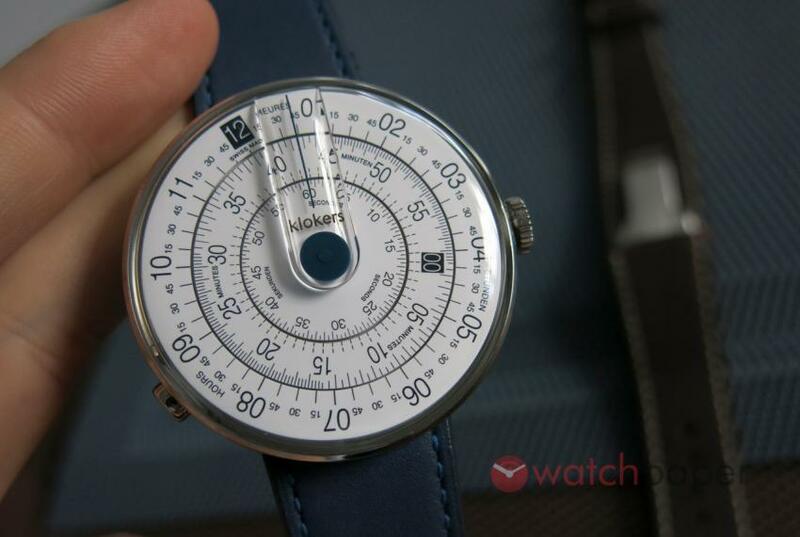 You can order it online from www.klokers.com or from one of their authorised retailers. 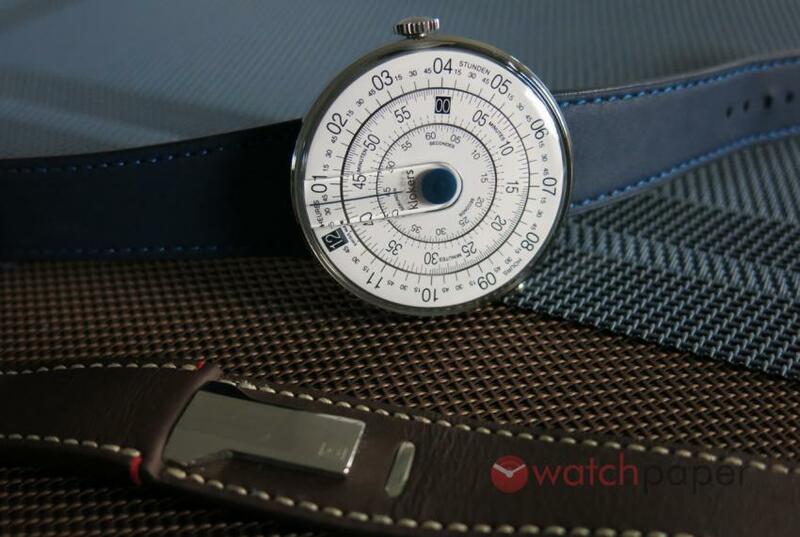 Prices start at €399 for the KLOK-01-KLINK-01, or €429 with the KLINK-02 double strap.